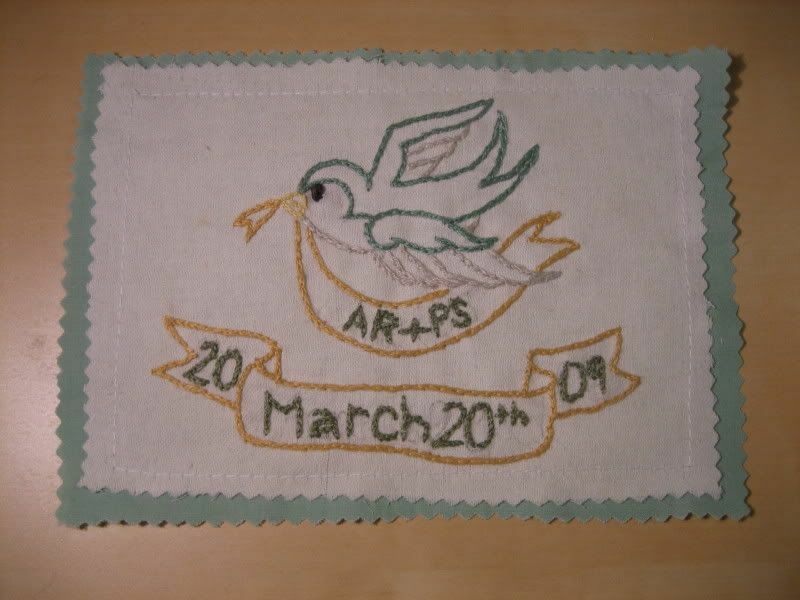 When Amanda was married in March, I made another quilt. This was the best of the three I’ve made so far, and I’m only repeating the compliment Katie gave me. And you know she doesn’t just give those out freely. 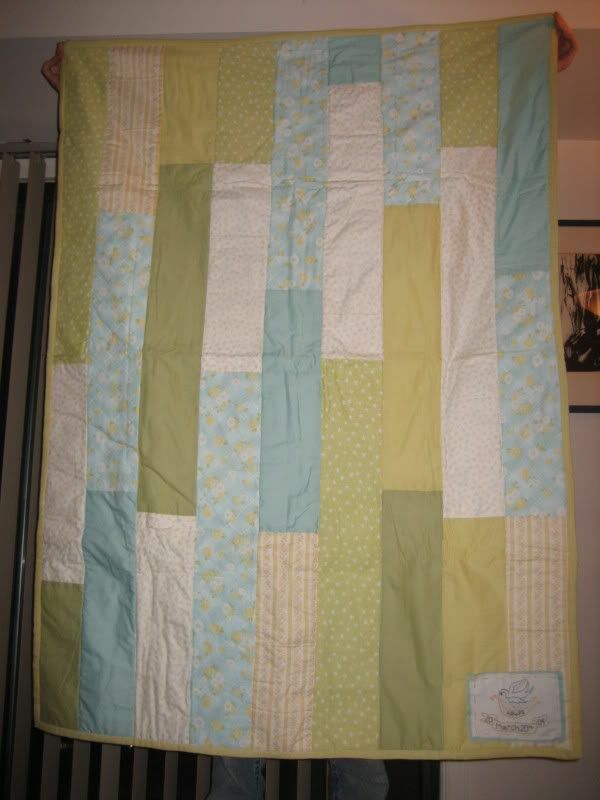 This may be the best quilt, but it has the worst pictures. It rained the entire weekend before Amanda and Paul’s wedding, and the Boyfriend helped me take pictures inside. It actually pains me to post these because this quilt deserved more than the fluorescent lighting in my apartment’s kitchen. 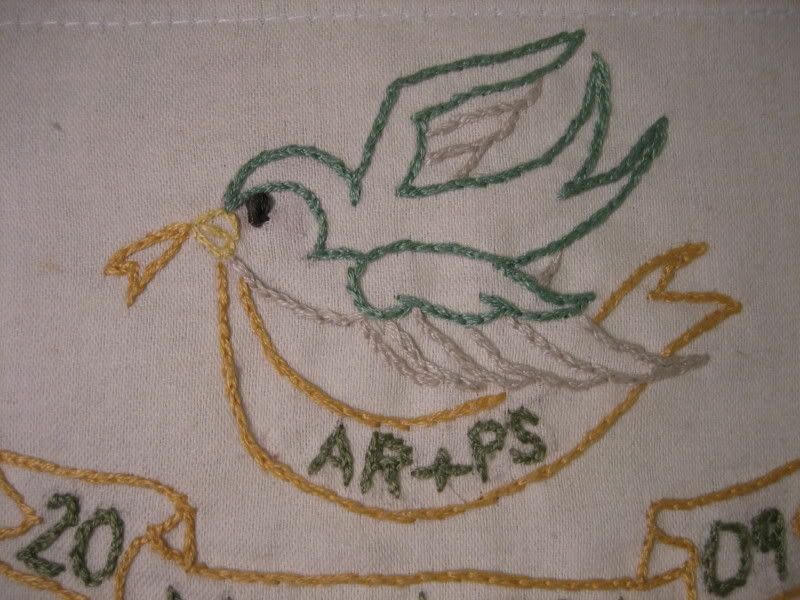 The pattern was again from Amy Karol‘s Bend-the-Rules Sewing. 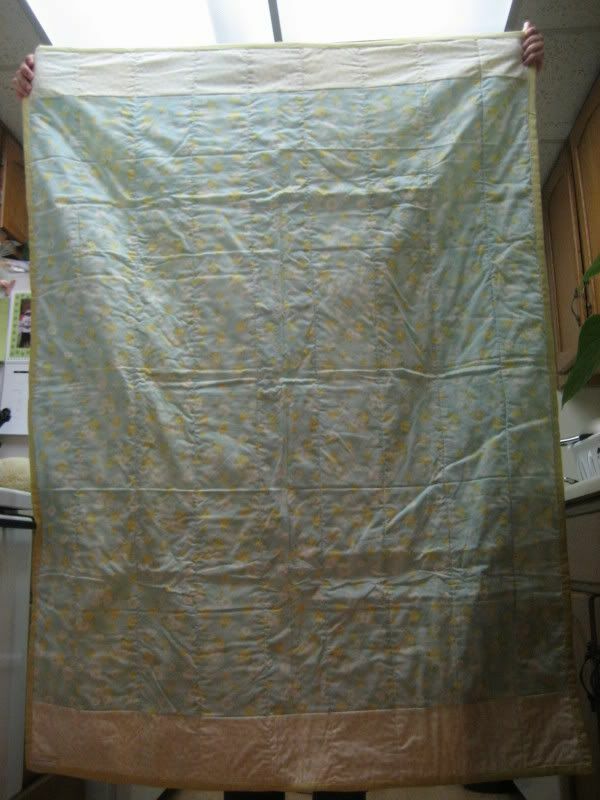 The fabric on the back was bought on super sale at Joann’s and hung around for over a year before being made into this quilt. Every last inch of it was used to make this quilt. 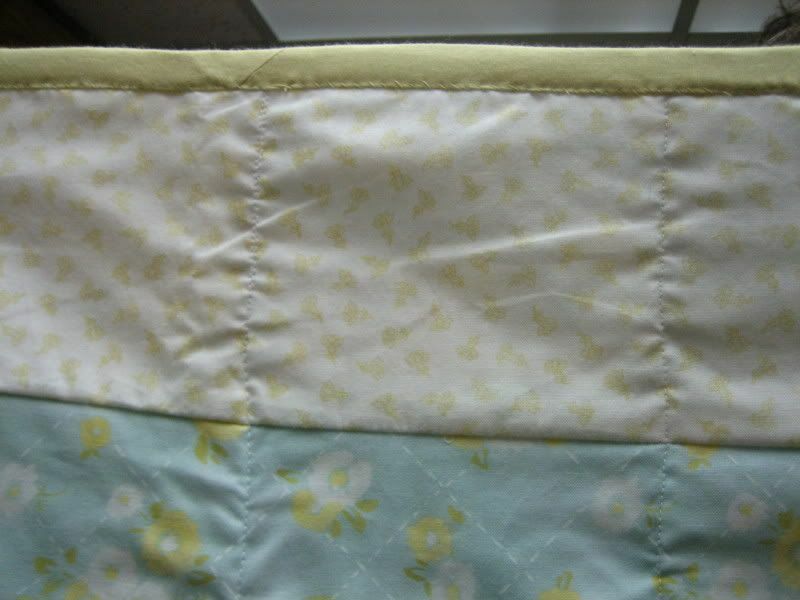 I used this ivory fabric as a border to stretch every last bit of that blue lattice fabric. I kind of hated that pattern, and now I love it in this quilt. Now comes the fun part! 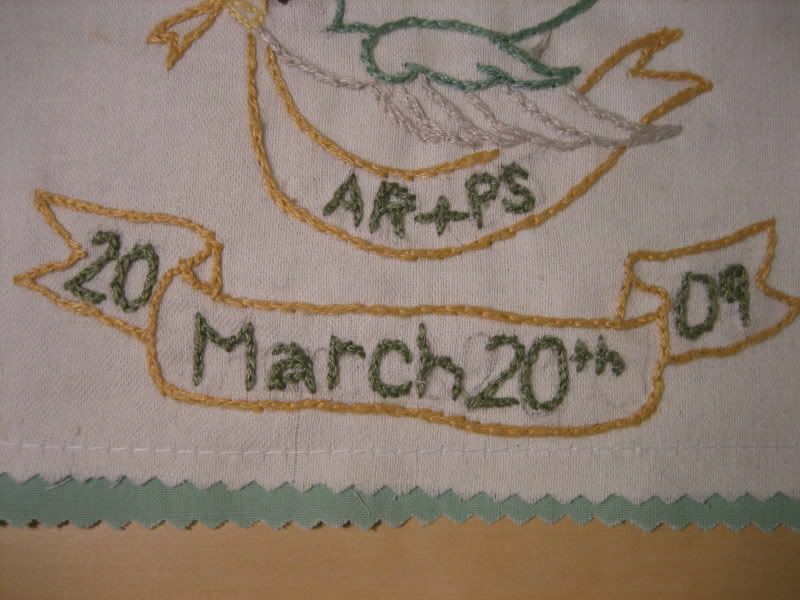 The embroidery of their wedding date! Ignore the faint pencil marks. I think I need to start using a water soluble pen so I’m not desperately erasing on fabric. 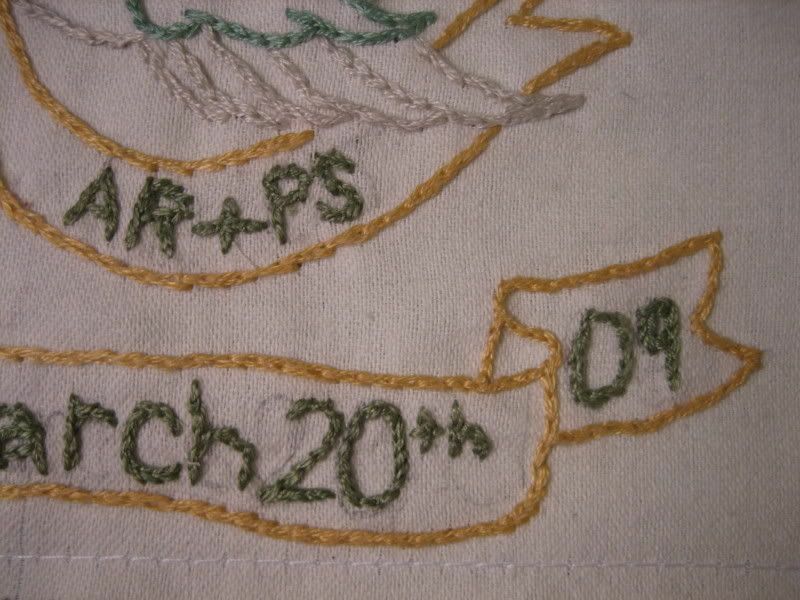 The bride wrote a gushing thank you note saying she ESPECIALLY liked the embroidery. How could I not gush. Its so pretty! Still in love with it.